Mixology Events provide cocktail making classes and spirit tastings in house at Mixology Studios, our permanent home in the vibrant area of Shoreditch, east London. Mixology also offer cocktail events in partnership venues throughout London, as well as the option to take our mobile cocktail classes and mobile cocktail bar hire service to any area in the UK. 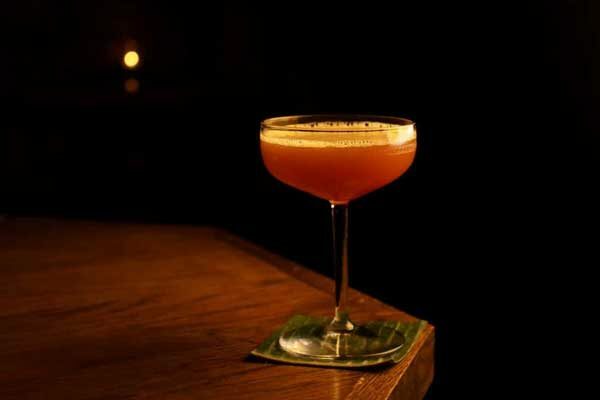 Mixology Events is able to bring high quality cocktails to at any location within the UK. 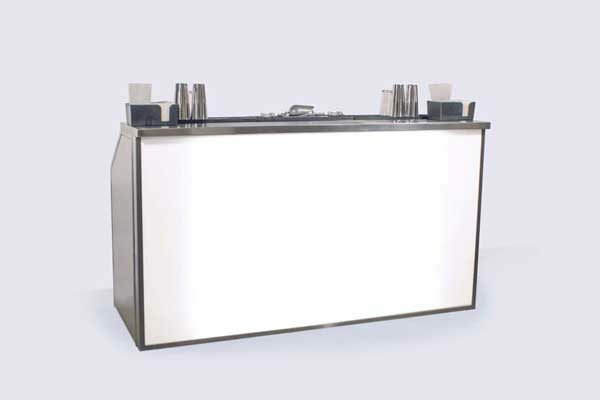 We have a wide range of different mobile cocktail bar styles. 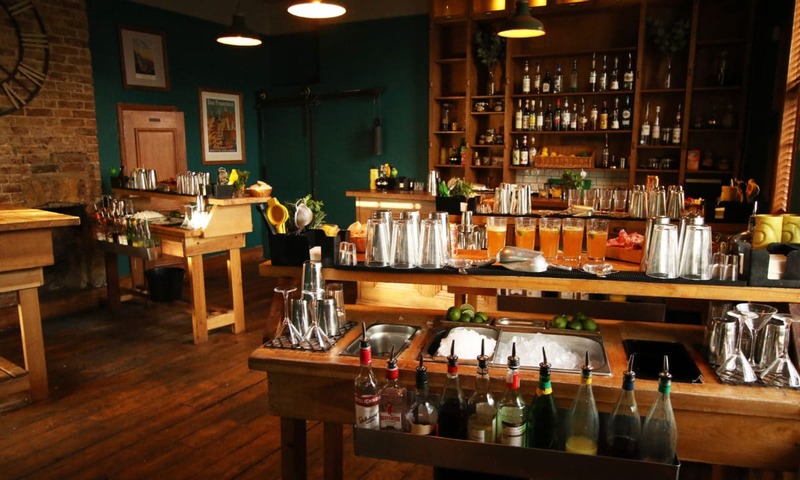 Mixology Events also offer our hands-on cocktail making classes at a wide variety of our trusted venues spanning the length and width of London. Mixology Events can host our range of fully-interactive cocktail making classes at one of our trusted venues, or deliver to any location in London & the UK. 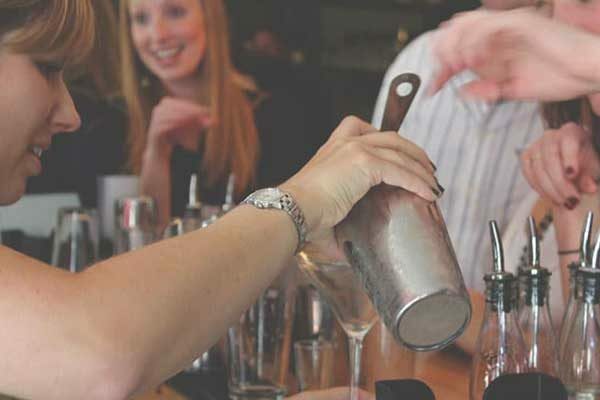 Mixology events cater to groups of any size, whilst prioritising interaction and involvement within the cocktail workshop. See our shop for Mixology gifts and products. Our permanent home is 17B Kingsland Road, Shoreditch, London, E2 8AA. 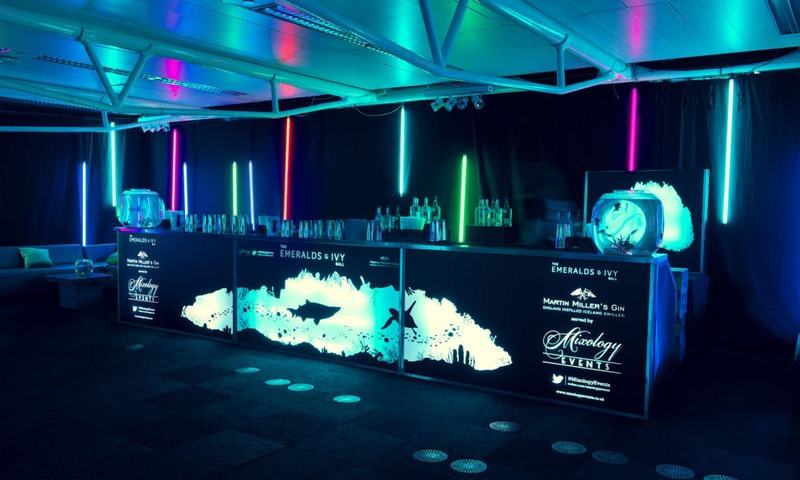 Our custom designed and built mobile light bars are available for dry hire and rental, as well as part of our all inclusive mobile cocktail bar hire and event services. Mixology Events have all the necessary ingredients for an ideal hen party! Our custom-built cocktail making class can host groups of any size, whilst maintaining 100% interaction. 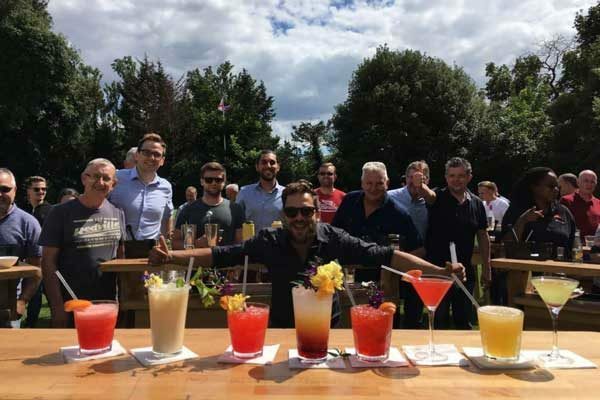 Have a read of some of the reviews and testimonials from some of our previous cocktail masterclasses and mobile bar hire events. 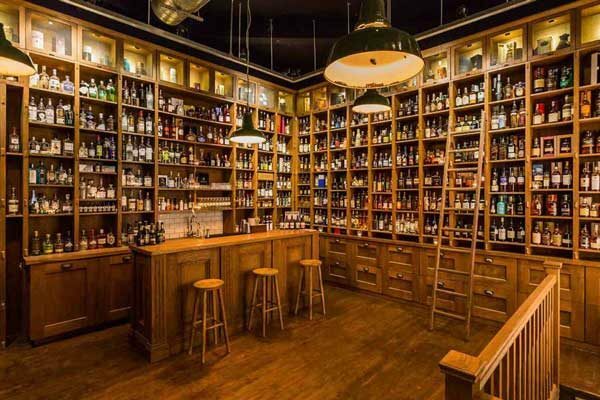 Have a read of our blog, looking back on some of the standout cocktail making events and bar hires of the past few years. Cocktails and the sunshine are a match made in heaven, so we were thrilled to take our mobile cocktail making class service up to Herefordshire for a hen party the other week. They had rented a grand old manor near Welwyn for the day, boasting beautiful grounds, and the weather was absolutely perfect for alfresco cocktail making. We pride ourselves on being able to take our mobile cocktail making classes on the road with us – to almost any destination – and we’ve done a number of events in the great outdoors now, all of which have been a great success. It’s a great way to take advantage of the limited sunny days of the British summertime, and cocktail making classes also happen to be perfect hen party material – after six or so cocktails everyone seemed to be in good spirits! Ever wanted professional craft beer service right in your back garden? Well now’s your chance thanks to Mixology Events’ new craft beer truck hire service. We are able to deliver a wide selection of craft beers to your event at any location within London and the UK. The truck itself is a small slice of British motoring history. It started life as a FMW Matey Dockyard Slave Truck – instantly recognisable for the more venerable viewer for its crucial role trafficking freight around large dockyards and other industrial areas in the 1970s – and we’ve converted it into a bright red bona-fide beer wagon. Tiki cocktails, previously the preserve of remote beach bars and speakeasies across America’s fabled Pacific coast, have now well and truly entered the mainstream thanks to their iconic looks and punchy alcohol content. A winning combination, considering they just look better and better the more of them you order. 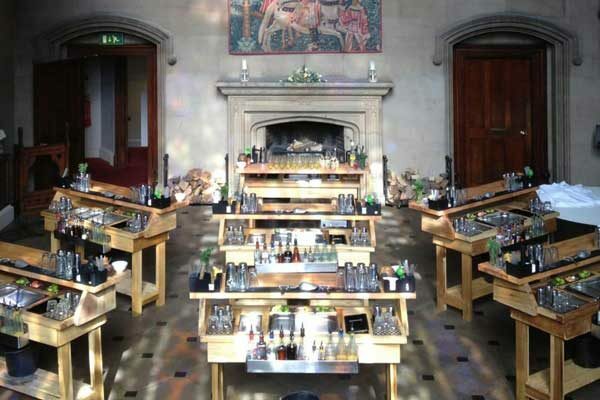 At Mixology Events, we are able to deliver our bespoke Tiki bar hire service to you at any location within the UK through our mobile cocktail bar hire service. In terms of aesthetics, the Tiki theme is a real go-to option; there are no limits to its versatility. With roots dating back to 1930s Hollywood – inspired by Ernest Raymond Beaumont-Gantt’s journeys around the South Pacific – it is characterised by Tiki statues, exotic rum punches, flaming torches, rattan furniture, and brightly coloured fabrics. So you’ve been landed with the unenviable position of having to organise your next work do or team-building exercise but can’t hire a venue or organise a trip out? We know the feeling all too well. Stop that hair pulling and pull it out the bag with one of our external cocktail making classes. “I arranged for Mixology to come to my office for a staff event. All of my colleagues were very impressed by the cocktails that we made, and with the staff that helped us throughout the night. Many of the big bosses commented that is was the best event I had organised so far! The cocktails were great and it was great value for money.” – Melissa Watson. 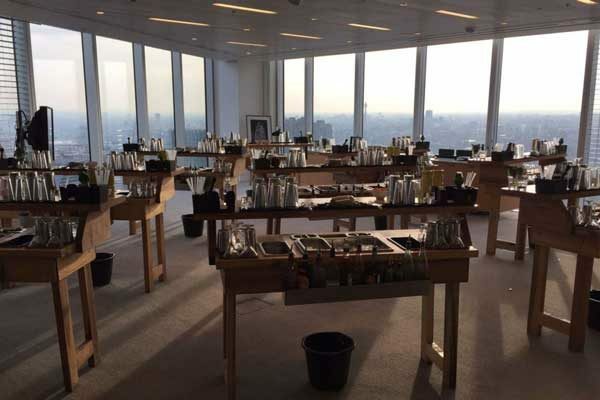 We took our mobile cocktail bars into the London clouds recently, as we delivered one of our trademark cocktail making classes to some offices on the 53rd floor of The Shard, located near London Bridge in central London. We showed 40 people the ropes, teaching them the basic tools and tricks of the trade. The security at The Shard was appropriately tight, which we took into consideration when organising the logistics of the class – we made a location visit in advance which helped to ensure there were no difficulties in keeping to schedule. 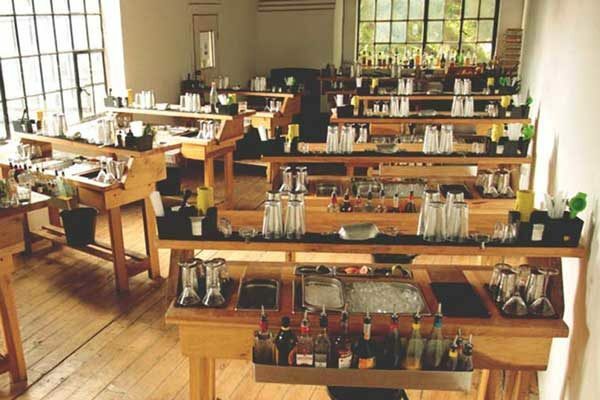 The class itself was hosted in a room with brand new wooden floors and – so as to not cause any damage, we developed a technique (using discrete patches of drugget under parts of the bars) to transport our cocktail bar stations into the venue without impairment.